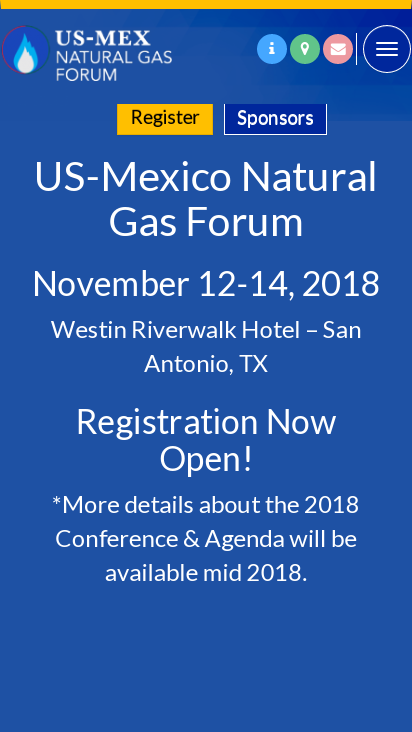 The US-Mexico Natural Gas Forum will focus specifically on this unique regional and cross-border phenomenon. 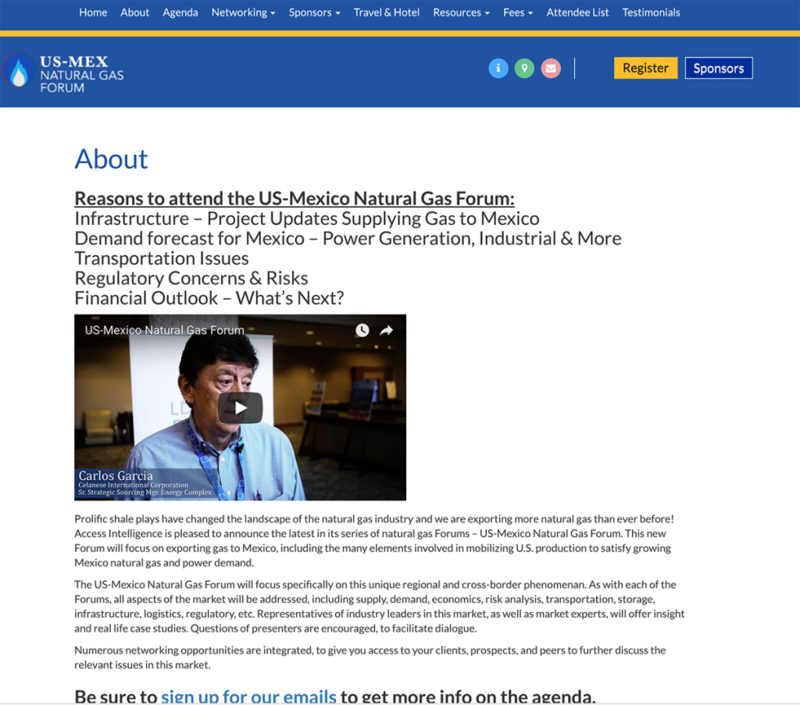 As with each of the Forums, all aspects of the market will be addressed, including supply, demand, economics, risk analysis, transportation, storage, infrastructure, logistics, regulatory, etc. Representatives of industry leaders in this market, as well as market experts, will offer insight and real-life case studies. Questions of presenters are encouraged, to facilitate dialogue. 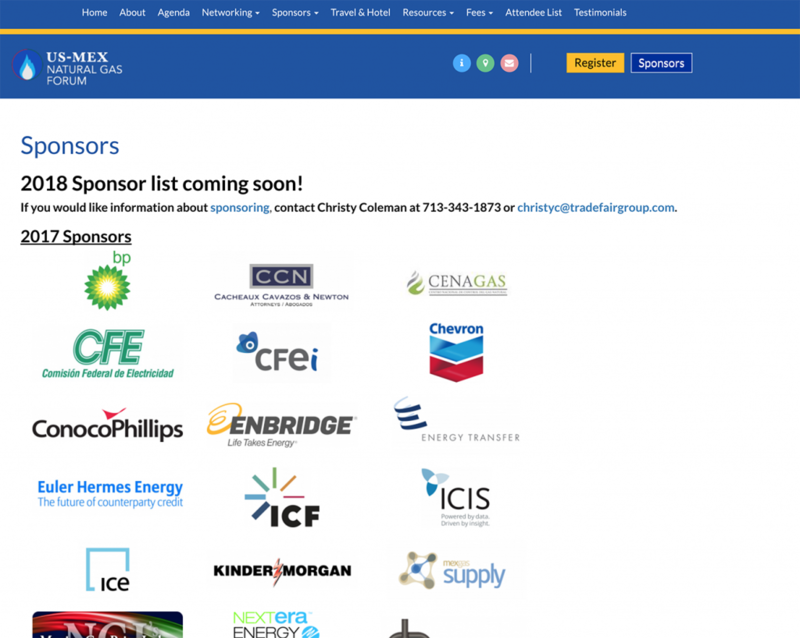 The site is fully responsive, and mobile friendly. The site has a different view, and experience when viewing it on mobile devices. The changes were made after reviewing, and analysis heatmaps, and analytics. These boxes have allowed the site to display graphics, and message that will drive the user directly to the needed content easily.